Have you ever heard of the Nashville Wings? I’m guessing that many of you have and if you haven’t, look them up and you will see thousands of photos of people posing with a 20 foot tall street mural! 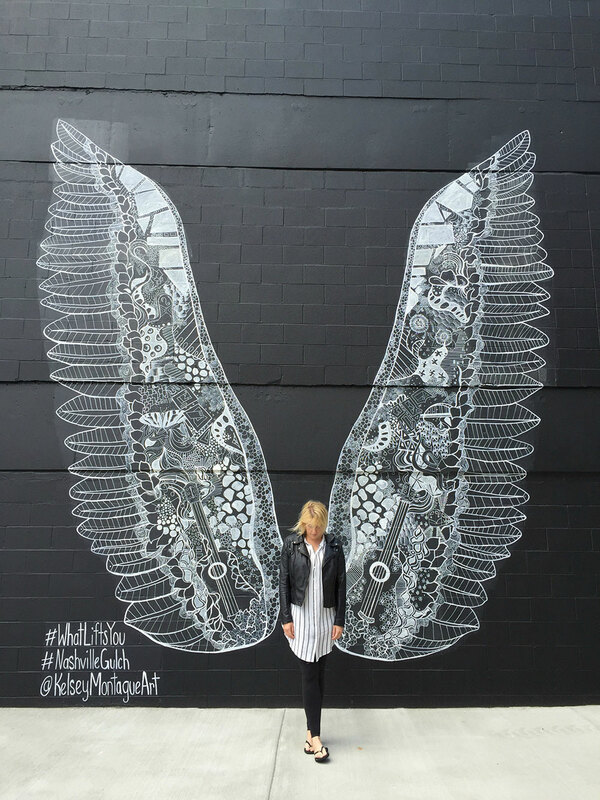 These amazing wings were created by street artist, Kelsey Montague who is well known all over the globe for her beautiful, interactive murals. 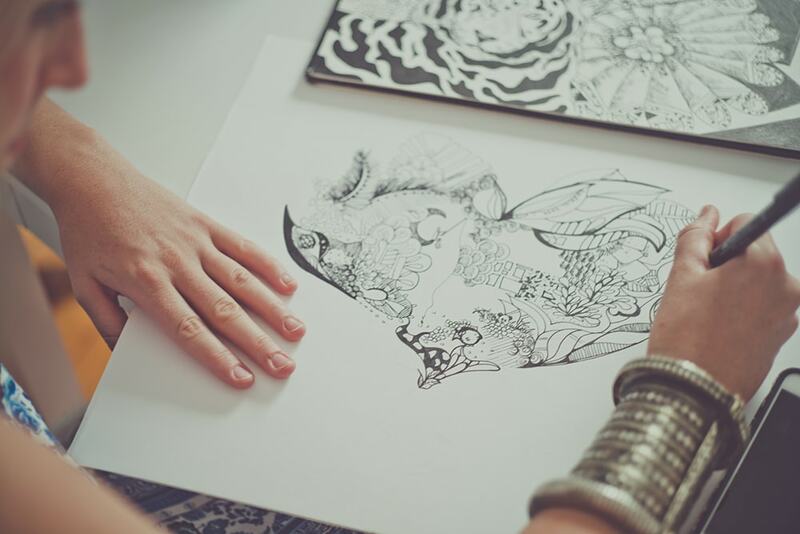 Kelsey and her sister/business partner, Courtney travel all around the world creating unique pieces on blank canvases that allow communities to be involved in the process. 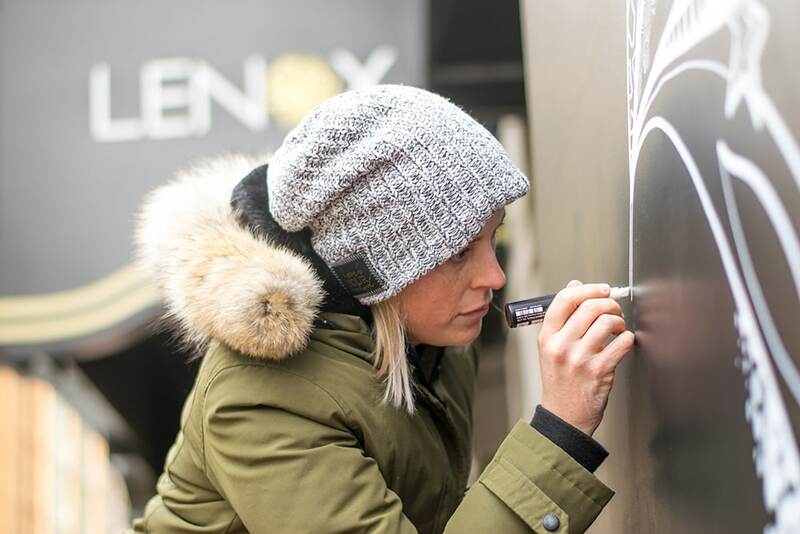 Kelsey’s work inspired so many of us on the Lenox Team that we decided we wanted her to create a piece for this year’s Boston Marathon, the finish line is right near the hotel. 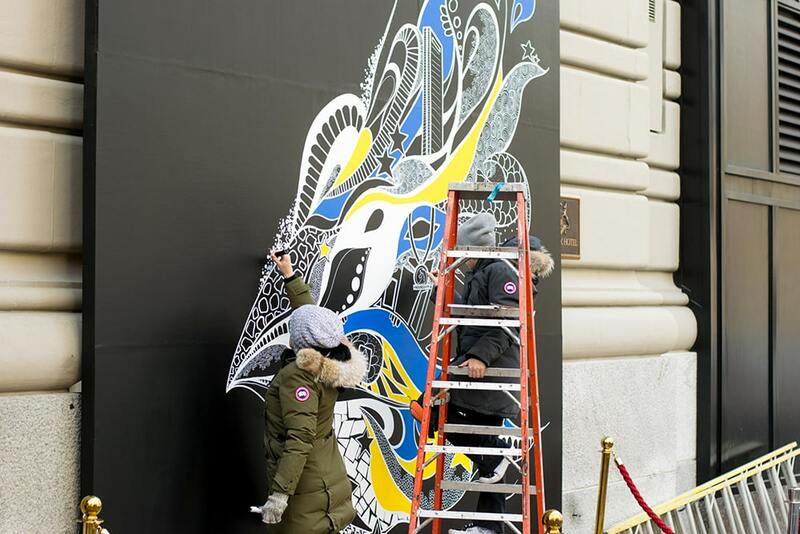 With the Lenox being just steps from the finish line, we felt that one of her #whatliftsyou murals would be perfect to embody the spirit of Boston and the runners! 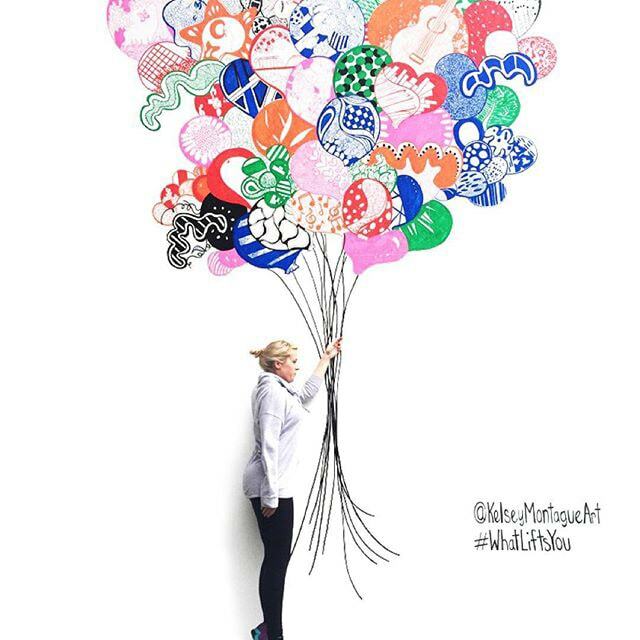 The #whatliftsyou hashtag encourages people to not only take a photo, but to also openly share what is most important to them in their lives. We were elated when Kelsey and Courtney agreed to travel to Boston and create a unique piece for us! These sisters are such a fun, genuine and inspiring duo (check out their Instagram) and it was a joy having them with us over the last three days! 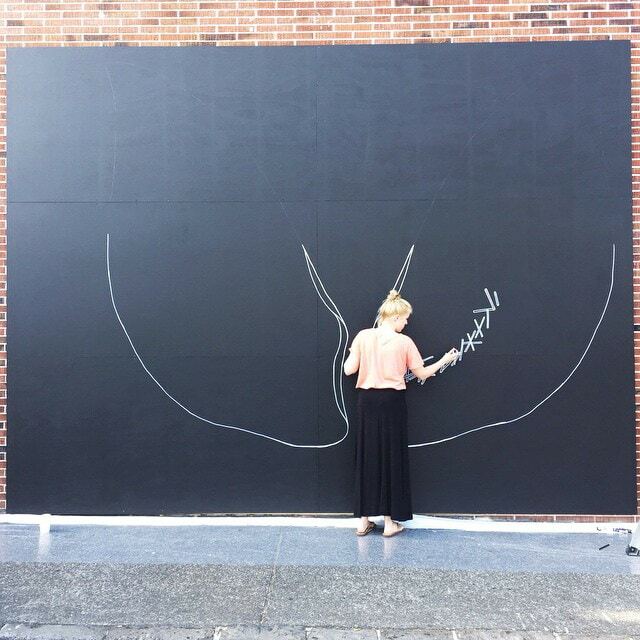 Watching the artistic process on this 13’x13’ black canvas was absolutely incredible. 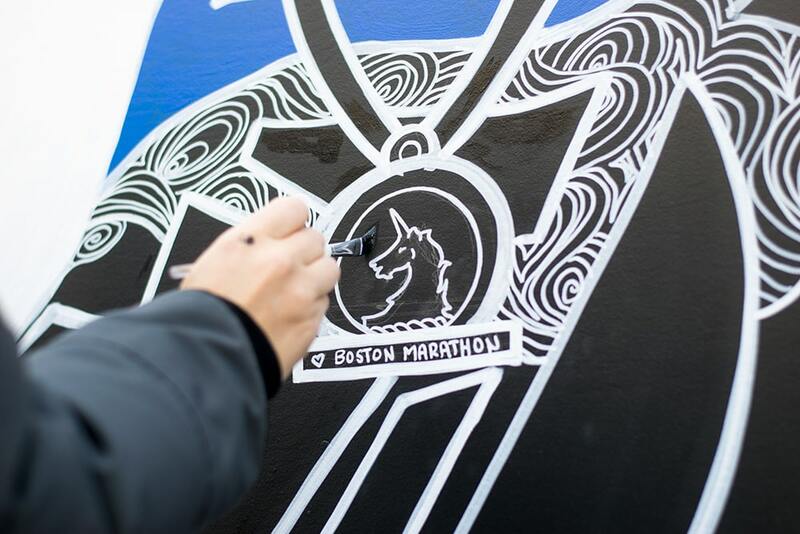 There are so many subtle touches of the city and marathon incorporated into this mural but you really have to look close. The neighborhood watched the progress over the last couple of days and when it was completed yesterday around 5PM, there was an immediate buzz! 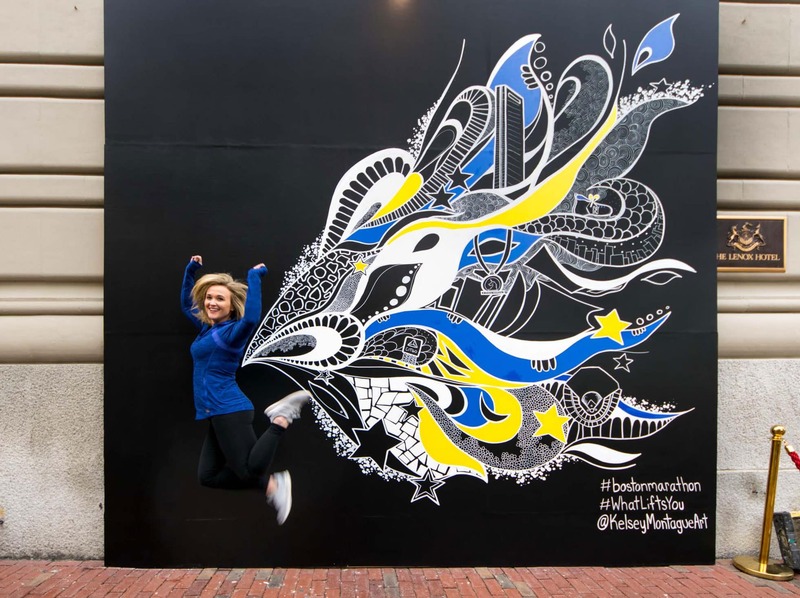 Be sure to learn more about The Montague Sisters here and check out the photos below of our Boston Marathon #whatliftsyou mural! Most importantly, if you are in Boston, come by the Lenox on Exeter Street and see it in person – you will not be disappointed!